Lock in a great price for Hotel Sol Aurora for Plava Laguna – rated 8.1 by recent guests! Nice hotel, well kept, good location for my neccesities (tennis courts). Food is fine. Closeness to the beach, the general area of Katoro. Very good location if you want to enjoy the see, there is "sand" on the ground in the water and enought place for your to take your towel. Hotel is just on the beach. 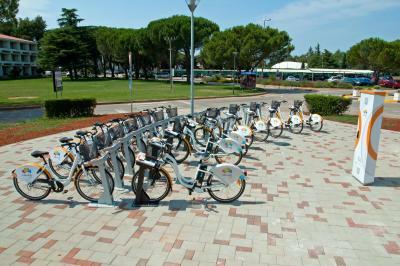 It is 15 minutes to get the Umag old-city with small tourist-train. Location on the beach. The staff is wonderfull and helpfull and always with smile. 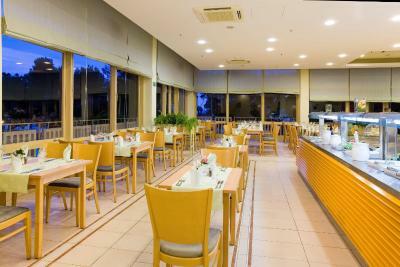 Position near the sea, good standard of hotel services. Hotel staff - very friendly and always willing to help. Food was great, rooms every morning cleaned up, location of the hotel is just great, evening's music / dance entertainment was cool. With the last point - if you have small kids, I strongly recommend rooms with park view as the stage is next to the pool, on the see side. For the price we booked it was perfect for what we needed. 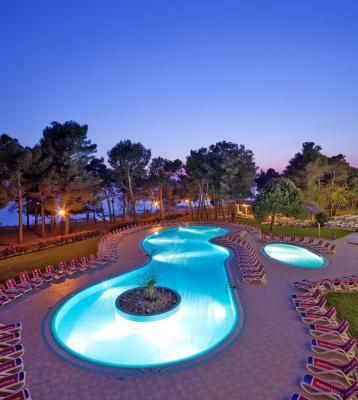 We have been in Croatia for a third time, but at this hotel we stayed for a first time. 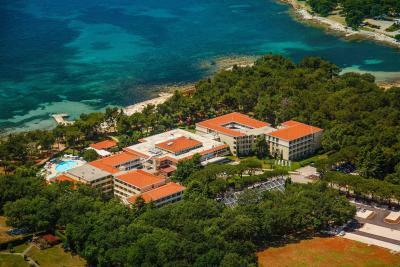 We like a location of the hotel, quite interesting evening animation (as for Croatia), the quality and diversity of the food. The snack bar was really helpful if you miss your chance to eat in the main restaurant. Hotel Sol Aurora for Plava Laguna This rating is a reflection of how the property compares to the industry standard when it comes to price, facilities and services available. It's based on a self-evaluation by the property. Use this rating to help choose your stay! 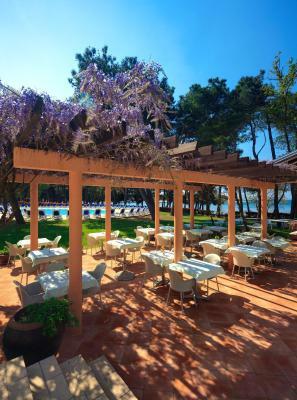 One of our top picks in Umag.Hotel Sol Aurora features a beautiful location right by the sea, in the Katoro Resort and just 1.6 mi from Umag's town center. This environmentally-friendly hotel offers easy access to the paved beach. 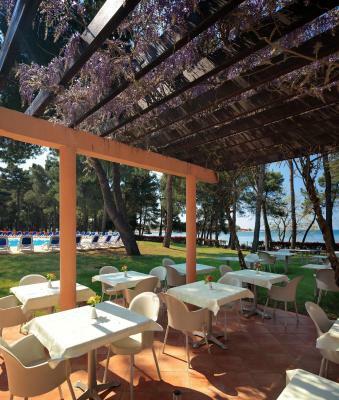 The bright rooms have a terrace or a balcony with views of the sea or the lush park with pine trees. Guests can relax by the pool, which includes a children's section, and take part in the diverse activities program. 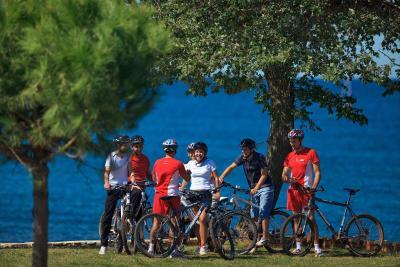 The seasonal all-inclusive offer includes food, drinks, sport and activities and entertainment. 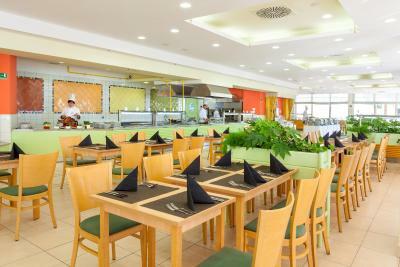 You can taste international and local dishes at the restaurant, with buffet-show cooking. 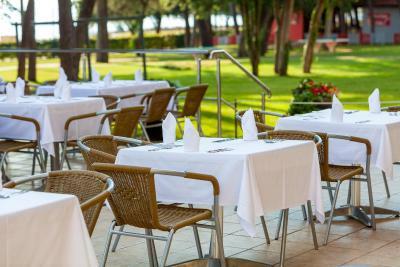 For a snack and a refreshing drink, guests can visit the snack bar Bellavista, which features a sun terrace. 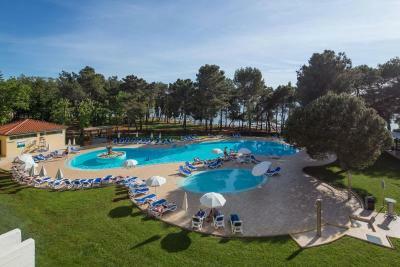 When would you like to stay at Hotel Sol Aurora for Plava Laguna? 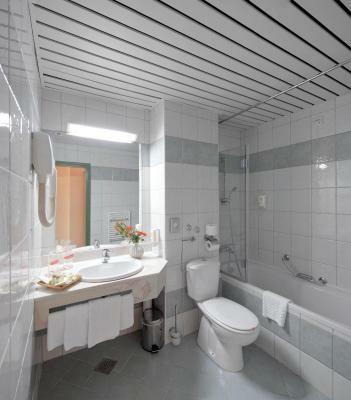 This large room has a balcony with park views, a seating area and bathroom with a bathtub. Bright colors are characteristic features of the room. 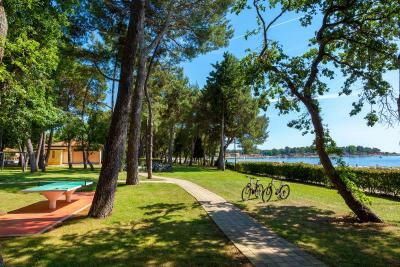 Private parking is available on site (reservation is not needed) and costs EUR 1 per day. This rooms are equipped with a French bed, a bathroom with bathtub and a furnished balcony offering a nice and calming park view. Please note that no extra beds or baby cots are possible in this room type. This large room has a balcony with sea views. 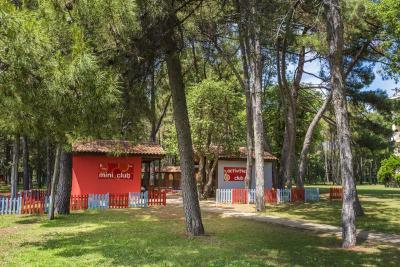 It offers twin beds and a sofa bed, a seating area and bathroom with a bathtub. Bright colors are characteristic features of the room. This large room has a balcony with park views. It offers twin beds and a sofa bed, a seating area and bathroom with a bathtub. Bright colors are characteristic features of the room. 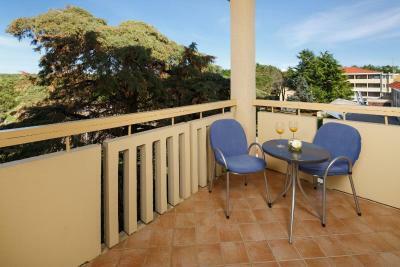 This room has furnished balcony facing the sea, a seating area and bathroom with a bathtub. The room includes one twin bed and 2 bunk beds. No extra beds available for this room type. 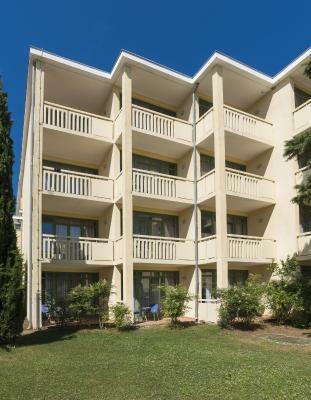 This room has a furnished balcony offering park views. 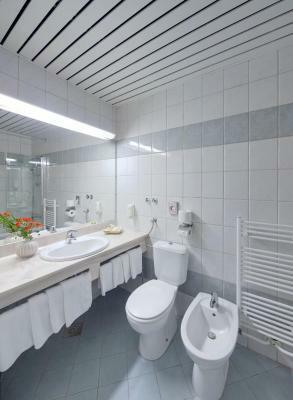 It consists of a seating area and bathroom with a bathtub. The room includes 1 twin bed and 2 bunk beds. This suite has balcony with views of the park. It consists of a bedroom with twin beds, a living room with a sofa bed and a bathroom with bathtub. Maximum occupancy is 3 adults or 2 adults and 2 children (see extra beds rates). 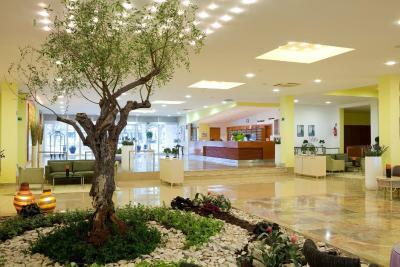 House Rules Hotel Sol Aurora for Plava Laguna takes special requests – add in the next step! Hotel Sol Aurora for Plava Laguna accepts these cards and reserves the right to temporarily hold an amount prior to arrival. Please note that from 23 May until 26 May 2019 guest may experience some noise due to the Sea Star Festival taking place nearby. 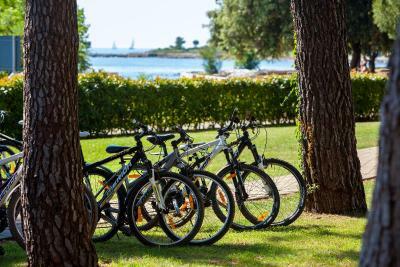 Please note that from 12 July until 21 July 2019 guest may experience some noise due to the Croatia Open ATP Tour taking place nearby. Air conditioning in rooms and common areas was really poor. This hotel is a tipical "mass tourism" place. We had all-inclusive, which sounds good, but althought the breakfast and the dinner selection was wide, the quality of the food is so-so. After some days it was a bit boring. There was some program every evening- which was loud and noisy sometimes until 23.00. Pool is great, food and staff in restoran. The staff work too much- all days, I felt sorrt for them. 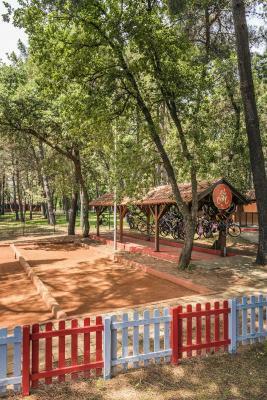 Close to the beach, pool, place for kids to play. I liked everything. I have nothing to complain about. The food was excellent. Everything was awesome. I was suprised when the reception wanted to pay of the services after our arrival.